The Las Sendas Golf Club Website doesn't say anything about the carillon, but some of the photographs show the kind of country in which it is located. (The Las Sendas community is focused on the golf course.) The bell tower is located near the 11th tee; formerly there was a course map which showed the relationship of all holes to surrounding streets. Here is a photo (85 KB) of the original "temporary" bell tower, which was a steel framework clad in wood. Ranking among all North American non-traditional carillons by weight. Ranking among all North American non-traditional carillons by size (number of bells). Ranking among all North American non-traditional carillons by year of completion. 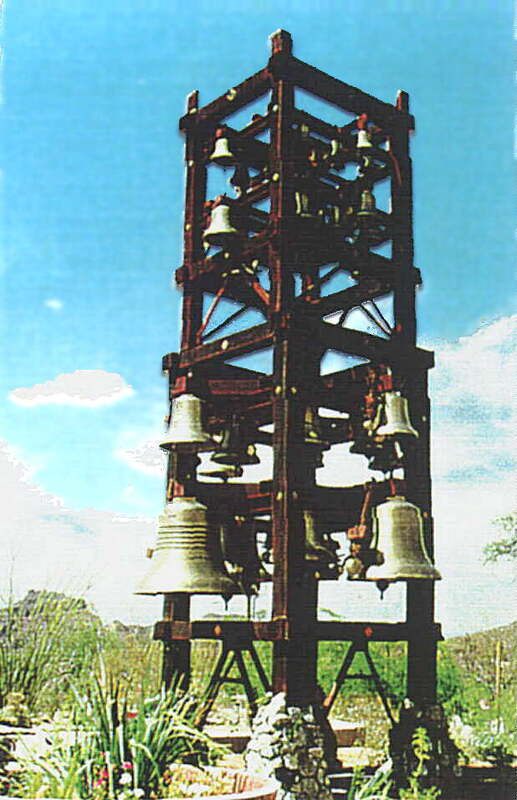 Index to all tower bell instruments in AZ.